To most Americans, getting a mortgage is typically a long and complicated process. That’s why most people only choose to get one when they’re absolutely sure they’re ready for the burdens of homeownership-- and that building equity rather than just renting is something worth sacrificing for. In reality, just the thought of getting a mortgage and buying a home causes stress headaches for some home buyers. Of course, who can blame them? Home loans are big investments, with loan terms that can cover decades, so they aren't something to be taken lightly. The thing is, buying and owning a home has long been a part of that American dream. Almost everyone, at some point or another, has envisioned that beautiful 4 bedroom, 2 ½ bathroom house with a garage, spacious backyard, and a white picket fence. Even those with differing tastes have had some kind of vision for a dwelling to call their own, in a place worthy of putting down roots. Fortunately, there’s a vast assortment of mortgage programs and grants to assist folks with seeing that dream become a reality. FHA Loans, conventional financing, VA loans for our servicemen and servicewomen, USDA loans for those that live a more rural life, and so many more are all designed to give eligible home buyers a better shot at buying a home to occupy. But not everyone who is buying a home intends to live in it. On the contrary, real estate itself is a booming business for some, a hobby for others, and a darn good source of passive income for those in between. Savvy investors are constantly looking for properties to invest in to either flip and make a pretty penny or to rent out and have a steady stream of profit. The only problem is that getting a mortgage for an investment property is a bit tougher than getting a home loan for a property you plan to live in as a primary residence. It can also be much more expensive. Still, if you want to buy an investment property, don’t give up just yet, because getting a home loan for a investment property isn’t impossible. Investing in a rental property or a house to flip can be a solid investment, sometimes with a huge payoff. As with nearly everything in life, there is a trick to doing it right, and tons of insights to be found. That’s why the home.loans team decided it was high time we compiled all of the best tips, notes, and insights we could find for buying investment properties. Our guide may not get you a prime time spot on HGTV, but it should help first-time investors gain a little confidence before dipping a toe in the world of investment properties, and might even contain a few new tricks for the old dogs of the trade. Whatever your level of familiarity with home buying for investment purposes, it’s a good idea to keep reading. Profit. Seriously. It's that simple. Investment properties are actually an awesome source of profit, that can either be collected as a one-off after a well-executed flip, or a reliable source of passive or “trickle-in” income. Getting a mortgage for a home that you don’t intend to live in is a huge commitment that definitely should be carefully planned out beforehand, but it all really comes down to risk vs. reward. Serious investors have all but mastered the art of weighing out the risks and the possible rewards from investing in real estate, and some have grown pretty fat off of it. Even those who do it as a side gig can make some decent bank off of a good investment. That’s not to say that flops don’t happen, either. Investing, at its very core, is not too dissimilar from gambling. There is money on the line, and there is always a risk present. The trick is to have an awesome plan, do tons of research, and of course, be prepared should you fail in the endeavor. With the grit to push forward, you may find out that you have a knack for it, depending on what you do with your investment property. Investors can only do so much with their properties, but in most cases, the two most common uses both require an investment of more than just money, but also precious time. And they both produce a profit in their own ways, so it's really up to the investor to figure out how they want to make money off of the property they choose to purchase. Investment properties have been used to produce income for all kinds of different people, with all kinds of different needs. There are people who don’t just survive off of their investments but thrive, with no other sources of income. Then there are some who simply want a little extra cash on the side to make ends meet. There is a breed of property investors who only want to make a quick profit and move on, and another group who choose to play the long game and milk a property for every penny that its worth. What you choose to do with an investment property boils down to a couple of factors, such as the amount of time you’re willing to invest in the property, how much money you are willing to invest in the property, and finally, how you wish to profit from the property. When you have a decent answer for each of those questions, you can officially start strategizing. By now, we’re sure everyone has seen at least a snippet from one of those reality shows where an investor buys a home in desperate need of some TLC for a low price, brings in an expert team to fix it up to an almost unrecognizable state, and then sells it for a huge profit. That’s a perfect example of a property investment strategy known as “house flipping”. And while the reality can actually be as glamorous as those “superstar” flips you see on TV, there is definitely more to the process, and it isn’t remotely as easy as they make it seem. Basically, house flipping requires investing in a property that's value can be reasonably increased, putting in whatever work is necessary to raise the value above a break-even point (because the whole purpose is making a profit, not breaking even), and then selling it at a price that reflects the now increased value. Sounds simple, right? In some ways it is-- but hold your horses, because there’s much more to it. To get the most out of a house flip, the aim is to buy low and sell high. But buying low when it comes to real estate could mean investing in a real fixer-upper. The kind of home that may have been sitting on the market for quite some time, because no sane person would choose to inhabit it. Either way, if it were already an awesome property, it would be hard to increase its value enough to turn a decent profit once sold. Wrapped your head around that one yet? Because now we delve a step further into just what it takes to flip a house. If you haven’t already figured it out, you will need to Cinderella that bad boy. And here’s the catch, 99.99% of the time, this will require money. Investing in a house flip means not only being able to afford the purchase of the property itself, but the cost of all of the repairs, rehabilitation, and renovations that it will need to increase in value and become more marketable. After all, you can’t profit from a house that won’t sell. Budgeting is a house flipper’s best friend, and that includes factoring in the monthly mortgage payments that must be made until the work on the property is complete, and the home is sold. Getting the project completed in a timely manner is of the utmost importance for a successful flip. Every month that the home remains under your name is one more monthly mortgage payment subtracted from your budget, and ultimately, your profit. If house flipping seems too wildly unpredictable, an almost sure-fire way to get some steady income out of an investment property is to rent it out. Rental properties almost never fail as an investment, as the housing market naturally scares many people into renting. However, borrowers investing in a rental property should still be careful, since they alone will be shoulder the repercussions should the mortgage go into default. Still, finding a decent property in a good area can do wonders for passive income. You don’t necessarily have to buy a fixer-upper to have a good rental property, but getting the property at a good price is key to maximizing your investment and return. You must always be able to charge your tenants a reasonable rent that still covers the monthly costs of owning the property plus a little extra for profit’s sake. Now, there’s nothing wrong with buying a single family home or condo somewhere and renting it out (if it’s allowed for that community), but investors in rental properties really hit the jackpot with properties that are more suited for rentals such as town homes, duplexes, and triplexes. These properties allow investors to rent out units at very reasonable prices, to multiple families, and possibly make more profit than they would with a single family dwelling. The catch is that they can be a little on the expensive side. Knowing what to charge, and the general cost of housing in the area that your rental property is located is crucial to success. Rentals should be an affordable housing alternative to homeownership, so they shouldn’t cost a tenant more per month than what their neighbors are paying on their mortgages. Even so, the rent paid to the investor should be worthwhile, or else it is just a costly waste of time. The next point of concern is the management of the property. As someone renting out a unit, property management is of great importance. Being a landlord can be extremely time-consuming, particularly when things go wrong around the property. Of course, someone could be hired to take care of those duties, but their pay is just another point where money flows outward rather than inward -- something that should definitely be taken into consideration. As cliche as it may sound, investing in a rental property is all about the long game. Sure, a sharp investor can make a profit as soon as the first tenant signs a contract, but at the end of the day, any profit made upfront is nickels and dimes compared to when the mortgage is paid in full. To that end, some investors don’t even mind taking a loss and renting a property out at prices that don’t completely cover the monthly costs, just to keep it occupied and get closer to paying the mortgage off fully. It’s easier to jump into another investment once one mortgage is paid in full, making it possible for investors of rental properties to quickly accumulate equity and assets. The only issue is keeping the rental property occupied, despite the volatility of the housing market for the area, and the availability of more affordable housing. It would be unwise to assume that there won’t be periods of time when the property remains unoccupied, and the owner must take full financial responsibility for keeping the mortgage payments up to date. This can be extremely stressful for investors who have their own mortgages to pay on top of the cost of the rental property. Not everyone has the chops to pull off a house flip or become a landlord. Luckily, that doesn’t mean you can’t still make some awesome real estate investments, or simply make money off of a property. There are less popular ways to get started in real estate investing that may be better suited for your financial situation and level of comfort. One such method is through Real Estate Investment Trusts or “REITs”. REITs have all the thrill of investing in real estate properties, without the actual properties to contend with. Real estate investment trusts are more like mutual funds, where you are actually investing in companies that own commercial real estate. REITs can be pricey investments, but the payoff is that they typically garner some formidable dividends. Anyone who is used to investing can sink that money into new investment ventures, while the folks that just want some income can collect each month. REITs can be bought and sold publicly like stocks on an exchange through the use of a broker, or through private means. It is highly recommended that beginners stick to the publicly traded REITs, which are generally a safer bet, and easier to value. For investors looking to take some of the financial strain out of buying a second property, they can simply purchase a property with multiple units such as a duplex and occupy one of them, while renting out the other/s. This is a great way to jump into the landlord lifestyle, as you yourself are a tenant there. This method kills two birds with one stone by helping an investor greatly afford the home that they occupy, while possibly gaining a little income on the side. This method is also great for increasing your eligibility for more affordable home loans. Once you intend to occupy a property, a plethora of affordable mortgage options that aren’t typically available to investors become viable options. In this way, an investor cuts costs greatly, and those savings supplement the rent paid by the tenant or tenants. Even in the downtime when the other units aren’t occupied, you still only have one mortgage to worry about rather than two separate ones. Additionally, as someone who lives in the property, you have the opportunity to be a more available landlord than one that lives off-site. Similar to the method mentioned above, there is another way to profit from the property that you occupy, although it may greatly affect the quality of your day to day life. Simply renting out a room or multiple rooms of the house that you currently occupy can be a great way to quickly pay off a mortgage and make some cash. Of course, this type of lifestyle isn’t for everyone and is better suited to individuals who have rooms to spare rather than families. Cohabitation with a complete stranger can be awkward, even dangerous, so many people tend to overlook this method as a means of making some passive income. Still, with the right vetting process and an open mind, why not put those empty rooms to good use? It isn’t entirely dissimilar to living in a duplex, but sharing common spaces such as the kitchen or living room would be a necessity. Of course, your house, your rules, but the idea is to make arrangements that attract renters and not turn them away. Investing in anything comes with a degree of risk, but buying a house is often the largest investment that a person will make. That risk is only magnified when the investment isn’t for the purpose of providing a home buyer with shelter, but instead utilized to make money. Investment properties are a scary business to most who aren't well acquainted with the trade. Whether you plan on investing in a rental property or simply trying to flip homes for profit, there are many factors worth considering before making that first move. Remember that everything from the location of the property to the type of loan used to purchase it comes into play when trying to profit off of a real estate investment. There is absolutely no reason to not be as cautious as you can be by taking the time to weigh out the risks and rewards for whatever method you choose to profit from. The biggest benefit of flipping a home is usually the lump sum of profit that can be gained from a successful flip. Returns on a house flip come with instant profit on top of the money invested, and many flippers pocket the extra cash and look for a new property to flip valued close to what they originally invested in the previous flip. To get an idea of what that “extra cash” looks like, in 2017, on average, flippers made roughly $48,600 for every $100,000 invested. While that sum is easy to drool over, another awesome pro is that that money is earned much quicker than with renting. A good flip should take place within 3-4 months. If you can stomach 4 months of mortgage payments on top of the costs to repair and renovate the place, you could see a huge profit as soon as the property is sold. With such a short turnaround time, it's easy to jump right into the next flipping investment and keep a steady cycle going, if luck permits. While the idea of large sums of money delivered fast is enough to get anyone salivating, the house flipping process isn’t necessarily an easy one. In truth, house flipping requires a deep understanding of housing trends and the ability to get the project of repairing and/or renovating a home done as quickly and efficiently as possible. So many things can go wrong during a flip, and it is almost easier to lose money than to make it. One huge factor in this is the general cost of purchasing the home. Taking out a mortgage, particularly one for a home that isn’t your primary residence is an expensive venture. Principal and interest aside, investment properties still require down payments, closing costs, property taxes, and homeowners insurance to be paid as well. That large profit at the end can dwindle down to chicken feed if an investor does not do their calculations correctly, or the house doesn’t sell for the desired price. On top of that, successfully flipping a property is a race against time. Any work that needs to be done must be completed as quickly as possible. In addition, the house must be sold just as quickly, or else those mortgage payments start to eat away at that big payday you’re imagining. All of this requires expert planning and strategizing from before even choosing a property, and even then, no one knows when the market can tumble, leaving you with a huge loss, or an unsellable home. Funding a flip can be a headache in itself. A good portion of home loans are geared towards home buyers planning to occupy a property as a primary residence. Mortgage loans for investment properties are viewed more like business transactions and come with higher interest rates and upfront costs. Many times, investors can only acquire a hard-money loan rather than a conventional mortgage loan, which has much more strict requirements, and tougher loan terms. And while that is enough to keep many people from even trying to get a loan for a flip, there is also the additional expense of the actual work that must be done to the house to consider. Buying a home that needs repairs or serious renovations to increase its value often requires two separate loans. The first would be a loan to purchase the home, and the second will fund the cost of the repairs (usually through a second mortgage, such as a home equity loan or HELOC). Some flippers try to avoid the need for a second loan by using cash that they’ve saved, but many people don't have enough money in savings to pull that stunt off. Lastly, any profit made from a house flip is subject to a capital gains tax. Any flip that can be pulled off in under a year is taxed at around the same rate as regular income. That's a loss of roughly 20% to Uncle Sam. Rental properties can generate predictable streams of income that are due to explode after the mortgage is paid in full. Unlike a house flip, this income may feel like drops in the bucket, but those drops can quickly out value a flip in a little over a year, and keep pouring in for as long as you own the property and have tenants. Rental properties are perfect for passive income in this way. Generating good rental income also puts you in better favor with lenders. Folks with successful rental properties usually get much better loan terms and rates offered to them. Needless to say, this can be utilized greatly to continue investing in properties to rent and further increase passive profit. A lesser-known pro of owning a rental property are the tax benefits that come with it. Renting out a property opens up many possible tax deductions to reduce the strain of taxes imposed on your profit. Investors are able to get deductions for expenses such as mortgage interest, maintenance costs, insurance, property taxes, landscaping, and even HOA fees and condo or co-op maintenance fees. Make no mistake, the landlord life is not an easy one. Nor is it a cheap one. Rental properties are well known for generating their fair share of expenses. On average, these expenses can take up 35% to 45% of the property’s gross operating income. As a landlord, your responsibilities greatly increase as well. Caring for the home you live in can be enough of a hassle, but when a tenant calls in the middle of the night because of their AC malfunctioning, that’s also on you. As a matter of fact, any broken appliance, structural repair or plumbing issue is directed to you, and you are responsible for solving the issue. The only way out of that responsibility is to hire a property management company to deal with those issues for you. While that may seem like an easy choice to make (let’s face it, being handy just isn’t as common of a trait as it used to be), they do not work for free. Actually, they can be quite expensive and typically demand a percentage of all rent collected, plus additional fees for performing certain services, depending on the firm. Lastly, there is no telling the type of tenant you will get, or whether you will have any tenants at all. Those bad tenants who leave the place in disrepair and are hard to get evicted can really hurt your investment. Still, there is nothing worse than having an extended period of vacancy, especially if the mortgage still needs to be paid each month. Investment properties are notoriously hard to finance. Even though most people see no difference between buying a home to live in and buying an investment property, the truth is that home loans, while difficult to get, are much easier to obtain when you actually intend to live in the home. That is why many investors turn to alternate methods for funding a real estate investment, such as utilizing savings, taking out a second mortgage on their primary residence, or even hard-money loans. Loans designed for investment properties are much harder to qualify for since they are often seen as business loans. Lenders often require no less than 20% as a down payment, but many require more. Additionally, it is quite common for lenders to require that a borrower have at least 6 months worth of cash reserves on hand before even considering approval for an investment loan. If you manage to get approved for one or more property investment loans, each successive loan becomes increasingly difficult to acquire. Lenders are greatly uncomfortable loaning money to an investor that already has a few debt obligations on their hands. And, in general, it is wise for investors to aim to pay off their investment loans as quickly as possible. In order to become more appealing to lenders when looking to fund a real estate investment, there several things a borrower can do. Making a larger down payment than what is required is a trick that always works, providing you can afford to do so. A strong credit score never hurt either. In general, investors have a much better chance of obtaining the loan they need with credit scores of at least 740. It may also help to stray away from those bigger, nationally acclaimed banking institutions when looking for a loan to invest in real estate. Often times, local lenders can provide much more flexible loan terms, with less strict requirements. As an added bonus, many of the smaller lenders have valuable insights regarding the market and your chance of success. Confident investors who have done their research and have a good property in sight should also consider utilizing their home equity or an open credit line to secure the down payment or fund repairs/renovations on their investment property. Ideally, using cash would put any investor ahead of the game, but again, that can be slightly unrealistic for a lot of potential investors. Just like with any home purchase, there is no substitute for shopping around for better rates. As an investor, it is your duty to do everything in your power to get the largest return possible for the least amount invested. That means finding the best possible loan terms, even if that means comparing dozens of different lenders. The standard, non-government-insured financing option for home purchases. 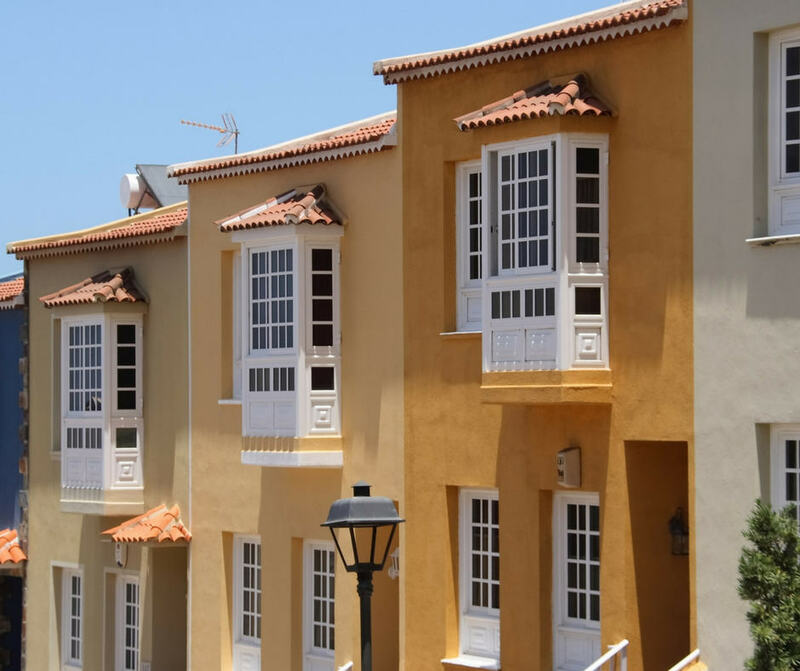 Conventional financing can be used for investment properties, but if the property won’t be owner occupied, there are much tighter eligibility requirements that must be met. Additionally, these loans can be much more expensive than they typically are for home buyers looking to occupy a property. Investors are generally required to make a down payment of around 30% for an investment property, which is much greater than the standard 20% down payment for the average home buyer. Lenders are known to require credit scores of around 740 from investors for a minimum loan-to-value ratio (LTV) of 80%. Borrowers must also have 6 months worth of cash reserves on hand. FHA loans are popular when it comes to financing home purchases, but for investors, they are only suitable for a specific group. Only investors who intend to occupy the property they invest in can reap the benefits of FHA financing. That means renting out a room of a house you intend to live in, or purchasing a property with multiple units and occupying one of them while renting out the others. FHA loans are the more affordable option, seeing as they only require a down payment of 3.5% for properties with up to four units. Credit requirements for FHA financing are also super flexible, with the loans made available to borrowers with credit scores as low as 500. The catch is that FHA financing comes with the mandatory addition of mortgage insurance, which is paid as both a one-time upfront fee, as well as an annual charge billed with each monthly mortgage payment. The addition of this extra cost should be greatly considered by investors. Sometimes referred to as “fix and flip” loans, hard money loans are a type of commercial real estate loan utilized primarily by house flippers and other real estate investors. These loans are secured by the property, as with standard mortgage loans, but they are actually short term loans designed to allow a property to be quickly renovated and then sold. The typical hard money loan carries a loan term anywhere between 1-5 years, making them the ideal option for house flipping, but not for a rental property. Fix and flip loans carry pretty lax eligibility requirements, so long as investors can make a down payment of at least 25% to 30% and have adequate cash reserves on hand. The reason behind this is that with hard money loans, lenders are less concerned about the borrower’s credit history and more interested in the property’s projected profitability. In many cases, loans are approved the very same day, and are often funded within three days of an applicant's approval. The only downside is that hard money loans can be quite expensive. The average fix and flip loan can have an interest rate anywhere between 9% and 14%. They are also known to have larger upfront fees, referred to as “points” that are typically between 2% and 4%. First and foremost, VA financing is only available to active and retired members of the United States military. VA loans have some of the best loan terms in the industry, including a zero down payment requirement, with no mortgage insurance necessary. But they are even more useful when used for investment properties. Military personnel are typically ordered to move around quite frequently, so owning a home can be quite problematic. Instead of going through an endless cycle of buying and selling with each move, some VA loan holders decide to rent out the home that they’ve left and become absentee landlords. This is allowed under VA loan guidelines with the sole requirement that the loan holder has occupied the property as a primary residence for at least one year. This is extended to multi-unit properties as well, so long as at least one unit is occupied by the loan recipient for a period of no less than a year. VA loan holders are allowed to repeat the process as many times as they wish up to their assigned “entitlement limit”. They are even allowed to use the rent being paid to them as a source of income when applying for the next VA loan. Real estate investing isn’t for everyone. While the glamorous successes that dominate TV make it look like a an easy way to make a fortune, the reality behind it is not so simple. Buying an investment property takes dedication, patience, hard work, time, research, and of course, money. For those who still wish to get their hands on an investment property, they truly can turn a decent profit with the right amount of know-how and some darn good luck. Investors must first decide the best course of action for such a property, mainly between renting it out, or fixing it up and selling it for a higher price. Renting could produce a steady flow of passive income, while “flipping” as its called, usually comes with a huge payday. Focusing on the money won’t get an investor too far, however, as there are many responsibilities that investors of either path must take on. Owners of rental properties must quickly learn what it takes to be a landlord and maintain properties for their tenants. House flippers must be able to repair or renovate properties fast enough to sell the property before their profit margin dwindles down to nothing. Both come with some pretty big risks, and to make matters more complicated, loans for investment properties can be expensive or hard to qualify for. Still, the brave investor is bound to take the chance and see what comes of their investment, and for that, the team at home.loans is always here to help. All you have to do is contact a home.loans mortgage specialist for a risk-free consultation.